Many people think getting a website up-and-running is something you need a lot of expertise for, that it’s confusing, a mountain to climb or they don’t ave the skill or confidence – when in reality it’s pretty easy. In this post, we will try to answer questions we think a lot of first-timers might ask. If you need a hand or want someone to do any of this for you, don’t hesitate to drop us a message! We are a highly visible, helpful digital marketing company and often offer tons of free advice. We love to see small businesses grow. 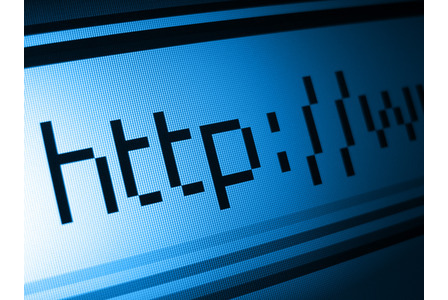 A domain is the URL or name of your website, this is your site’s original and unique identity on the internet. It is usually in the form of www.yourdomain.co.uk but can also have a .com, .net or some other suffix. This suffice is called the top-level domain (TLD). Think of your domain as similar to your house address. You can register/buy a domain on sites like 123Reg, GoDaddy or heart Internet. .co.uk domains usually cost about £8 for two years including VAT with .com’s around £20 a year including VAT. Remember, this does not mean you automatically have a website, this just means you have the rights to host your website at the domain or address. You’ll need Hosting (see below) as well if you want to start a website. That completely depends on what you want to do with your website. If you plan on selling something then you will want to have a name that reflects this, as people will clicking on that name to get to your website. It’s a good idea to try to incorporate what you do in the domain if you can. For example if you sell bananas in Manchester, then a domain like manchesterbananas.co.uk might be a good idea. Contact us if you need more advice on this. You might want to do a little research and thinking before you commit to a domain name and extension. Hosting is the actual location of where your website files will sit. Each page on your website is a file, just like a Word document or jpg, so it has to actually be on a disk space somewhere, similar to if you save documents on your PC or laptop. Hosting, then is just a powerful PC connected to the internet where your website files will reside. If we think of your domain as a your street address, then hosting would be your actual house. Where Should I go for Hosting? Have a search around for website hosting and look for some of the best deals, you want a reliable host which isn’t too expensive per year/month. It’s a good idea to get hosting with good support but also in a location near you. If you trade in the UK, get a hosting company in the UK. Heart Internet and TSO Hosting are inexpensive hosting companies if your website is small or for new start businesses. It starts around £15 per year. How Do I Set Up Hosting Myself? Most hosting companies will set up your hosting and domain automatically (especially if you buy the domain and hosting from the same company). It really is quite simple and the hosting companies above have great help sections and good online and telephone support to help. WordPress is a content management system (sounds fancy, but really just a system where you can update your website with no technical knowledge. It started as blog software, so if you can us Facebook, you can use WordPress to update your site). You can usually install a WordPress website from your Hosting Website’s Control Panel. Most have a 1-click install of WordPress, meaning all you do is click on an ‘Install WordPress’ button and job done. Okay, I have a domain, hosting and WordPress installed, what next? You can find both free and premium (paid) Wordpress site themes all over the internet. A theme is basically a template with a website design. We recommend looking on the original WordPress.org website for themes. All you do is find a theme you like, download it and install. This entry was posted in News, Website Design Resources by James.